Summer vacation is over! We’re getting ready for a new school year and lots more learning through our Technique of the Week video series. If you’re new to Brazilian Jiu-Jitsu, one of the most perplexing techniques to master is tying your belt! This week, Nyal breaks down how to tie a basic square knot. He also shows you a couple of common mistakes to avoid. Keep your eye out for some fancy knots coming soon! We’ve added even more BJJ classes! Our newest class is on Monday at 5:45 with Coach Mike, one of our 4 BJJ Black Belts. Check out the full BJJ schedule! FIT Method and WNY MMA & Fitness are teaming up! 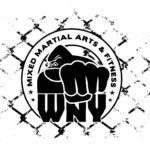 You can now find FIT Method classes at WNY MMA Monday through Saturday. Jeremy Ramsey, FIT Method Coach, brings you this week’s technique of the week: two different ways to do reverse lunges using TRX bands. Like this? Be sure to check out the TRX classes at WNY MMA! Plus we have a ton of other new FIT Method classes. See the full schedule here! Want to try this free? Let us know! Boxing, kickboxing, Muay Thai, BJJ, Wrestling, MMA all have something in common: they need top-notch footwork. Coach Tommy shows an easy but effective footwork drill that can help everyone. Love this? Come check out boxing classes with Coach Tommy! We’ll set you up with a free introductory private lesson to get you started.